I recently fessed up that my discipline methods could use a bit of work (ok, a lot of work). And a couple of my blogging friends had shared their experience with gem jars, so I decided to give them a go. Well, we’re a couple weeks in and I figured I’d share what’s worked and what hasn’t since a lot of people asked me about it. 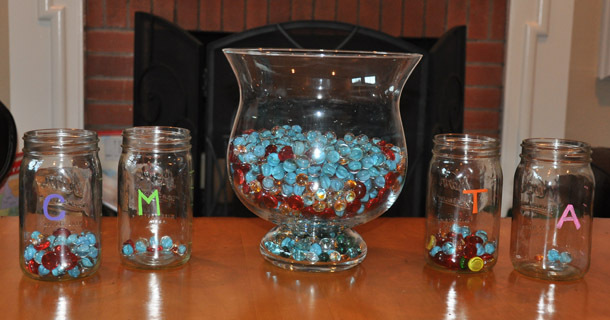 Gem jars are all about positive reinforcement for good behavior. The idea is that everyone in the family tries to “catch” other people doing good things. When they do, they say, “I think so-and-so deserves a gem because…” The goal is to fill the jar with evidence of great moments and, yes, get a reward of some sort. In our house, we’ve also had to take gems away due to some negative behaviors we’re trying to change. • Hit Michael’s or another craft store to get jars and gems for each family member. • Sit down together and introduce the idea. Explain that you’ll be playing a new game trying to catch people doing good things. • Explain that each family member—even mom and dad—will have a jar to fill with gems. • Work together to make a list of great behaviors that will earn gems (e.g. helping others, using manners, cleaning up, etc.). Of course this list can always grow. • If you’re going to take gems away, make a list of behaviors that will lead to gem removal (e.g. hitting, sassy talk, whining, etc.). • Think of rewards together (e.g. a trip to the zoo, a special day with mom or dad, a coveted toy, etc.). Since my kids are young and need more immediate gratification, I made lines up the side of the jar at each inch and they get small rewards along the way (e.g. chew gum, choose the music in the car, etc.). • Explain you do not get a gem if you call out your own good behavior or ask for one. This is key…believe me! • Start noticing the great things your kids and spouse are doing. And hope that they return the favor! So a couple weeks in, here’s what’s working for us. And what’s not. • The boys are trying really hard to work together and help out. • I can see their chests puff with pride when we point out their positive behaviors. • Though I hate to use the negative spin, the threat of losing a gem often gets them to rethink bad choices. • Little doesn’t understand why they don’t both get rewarded at the exact same time. I think he’s a bit young to grasp this. • Honestly, I’ve been a bit inconsistent and I don’t think I’m helping them fill them fast enough, so the light at the end of the tunnel is too far away. What do you think? Would you do this in your house? How do you feel about positive reinforcement/rewards? Yes I am totally stealing this. I have gotten very negative in my discipline efforts. I think this will help. In any case it will shake things up a bit…we desperately need that. Good luck! I’d love to hear how it works for you. I like the plan and while it’s probably harder because the boys are young, what a great habit to reinforce! Compliments and gratitude will take us all far in life–and make for a lot of happiness,too!! Good job, Mom. Thank you! I love this idea and I am going to try it. Great Blog! Oh good. I’d love to hear how it goes for you! I totally used this 25 years ago with my girls and I think it is a great tool! My girls are now moms and are using something similar with their kids. 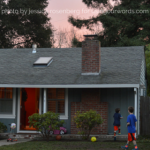 I think the value is in making kids realize that we all are rewarded for good behavior (home, school, work). I think it is also fun to just drop in an extra marble ‘just because’ to show your kids that they are valued even when things aren’t perfect. Thanks for posting this and for giving me these fun memories of my darling daughters!! Thanks so much, Trudi. I hope you and your daughters continue to enjoy and relate to UOW! You must explain it pretty well yourself since I got the idea from you! I love this idea here. Now I just have one son and have been looking for ways to establish good manners, respecting his elders, listening to his teacher and especially minding me. I have to admit I have spoiled him as he is my only child through a true miracle, as I was not suppose to be able to ever get pregnant. Well at the ripe age of fourty I became pregnant with my precious baby boy that thinks the world revolves around him and he has no intentions of listening to dear old Mom. So I’m so glad you posted this great idea as we are going to put into place over the weekend i just know this will help me and him as I have resorted to yelling and he has resorted to letting it go in one ear and out the other. Dont get me wrong now he is a great kid but had developed a attitude and I think this idea wil help in him cleaning his room without me saying clean your room a hundred times I also think he will take more pride in his chores and school work especiallly when he earns his first reward and knows the system really works. I think I will use things like family game night, make cupcake night, movie of his choice things of this nature. Now if I had two or three as you do I would have to not make it where they were all rewarded at the same time because if you have one that really isnt doing as much as the other but still reaps the reward could cause for slack and problems down the road on the other hand they would be more competative and you might seek what your looking for….mom gems in your jar because that is where one is going to pay more attention too…….what the good things mom is doing. Which is a very good life lesson in itself! Great job here great idea. I wll be returning oftenaaaai jjudst love your page ful of great ideas. Sandra, welcome to my blog! I’m so glad you found this useful and I’d love to hear how it goes for you. I hate to admit, we’ve fallen out of the habit. But I’m going to start again this weekend. It’s time for some positive reinforcement around here! Patrick and I have been doing this with our 4-year old Brendan for awhile now and I think that overall, it is a great tool. However, I wanted to share that we, too, are not as consistent as we should be, and as you say, “the light at the end of the tunnel is too far away.” So well said! I am learning that it kind of loses its luster a bit if the reward for positive behavior is too remote in time. 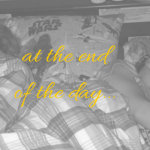 You made me both feel better that I am not the only parent that struggles with the consistency on this while at the same time, encouraging me to do just that–be consistent with it! Great post–thanks! Oh gosh, Dana, it’s a never-ending process, isn’t it? I told my boys tonight the gems are coming back out tomorrow. I’ve been focusing on the negative too much and need to kick start us ALL again. Hope you’re finding success!